Unlike most guns, this one is completely ambidextrous, because you can swap the bolt's position from one side to the other. BSA's barrels are known for being very accurate. 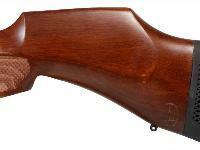 Things I liked: BSA makes outstanding guns for the money. They make some of the best, if not the best barrels in the industry. The Scorpion is an outstanding rifle - very accurate and hits hard. Things I would have changed: I wish it (and all BSA pcp's) was regulated for more consistency shot to shot. This is a minor upgrade to make at the factory but a major one to add to the rifle afterwards. Is it absolutely needed? No. Is it great to have? Yes. What others should know: This is perfect for those of us that prefer single shot over multi shot. The BSA loading channel is large enough that you don't feel like you have to "fiddle" to get a pellet loaded. Things I liked: Incredible accuracy. Fit and finish like a fine custom firearm. Very high power is attainable with some adjustments. The trigger is a work of art. 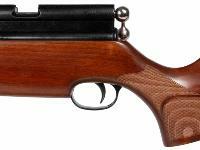 This BSA air rifle was designed by John Bowkett, the undisputed foremost designer of air rifles in his day. 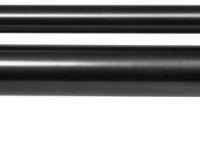 BSA barrels are fully the equal of Lothar Walther and Anschutz.. BSA rifles are known for their ruggedness as wel as incredible accuracy. BSA air rifles are to be cherished as prized possessions. Things I would have changed: There is a T10 version that is a 10-shot repeater....but not anywhere near the price this single shot version is selling for. If you can afford $900+, go for the T10 version. What others should know: OK, I own the .25 caliber Lonestar, but is is a single shot and very similar to the Scorpion except is has the MMC cocking feature instead of the conventional bolt handle. Other than that and the caliber, they are very similar rifles. 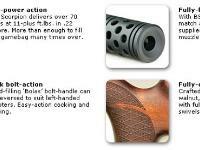 BSA rifles must be charged to 232 Bar to get the full number of shots, and power start sto fall off below 200 Bar. Because of this, you MUST get a pump that can supply the pressure such as the BSA pump mades by Hills or and FX pump made in Sweden. A standard SCUBA tank falls a bit short in the pressure department. 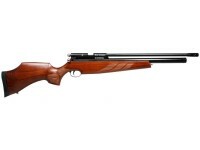 Your pump should be rated to 250 Bar minimum if you own a BSA air rifle. I chose a BSA air rifle over an FX made in Sweden. Why pay more? Things I liked: First rate quality. Floating barrel and BSA's legendary accuracy. Shoulders very well and is a great hunter. I like the adjustable power. Try finding a pcp with this much power for the price. I sure hope Gamo doesn't start skimping on the quality now that they own BSA. Incredibly crisp two stage trigger with lots of adjustments. Things I would have changed: Offer a synthetic stock option. 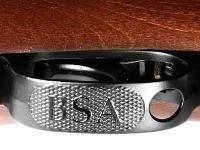 Keep the Gamo name and inferior quality separate from BSA. Offer an on board pressure gauge, other than that....nothing. What others should know: This gun is loud...not condor loud, but not a backyard shooter. However, it is an incredible long ranger sniper rifle. It has effectively taken small game out to 120 yards (with proper placement). Gun shoots very well with Kodiaks and 18grain JSB's. 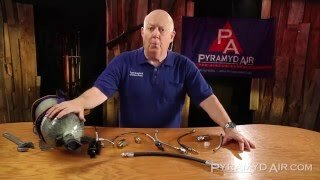 The Scorpion does not have adjustable power. Please check the owner's manual, which is linked on this page. Accurate, powerful, ambidextrous. 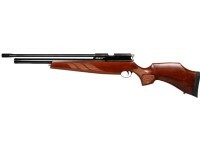 Ideal for hunting small game & plinking.